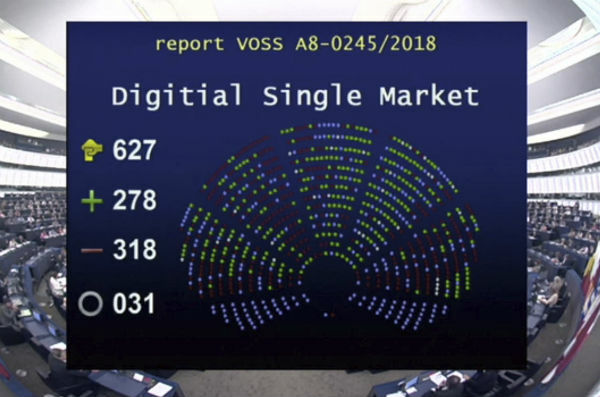 In a plenary vote, the European Parliament said no to the Copyright Directive mandate. This means that the controversial copyright reform proposal will be opened for debate and possible amendments. Pirate Party MEP Julia Reda describes the outcome as a "great success," noting that the protests have worked. Hundreds of thousands of people spoke out against Article 13, which imposes new restrictions on online service providers. At the same time, many people in creative industries stressed the importance of the plans. After the Legal Affairs Committee of the Parliament (JURI) adopted the proposals last month the campaigns continued, targeting today’s plenary vote in the European Parliament. Opponents pressed their representatives to open up the proposal for debate, so significant changes can be made. Supporters, for their part, urged Members of Parliament to keep things the way they are now. This afternoon the plenary voted in opposition of the mandate, with 278 votes in favor and 318 against. This means that the proposals, which were agreed on in the JURI committee, will be debated and voted on in Parliament next September where changes can be made to the current text. “Great success: Your protests have worked! 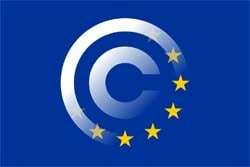 The European Parliament has sent the copyright law back to the drawing board,” Pirate Party MEP Julia Reda commented on the outcome. “Rather than proceeding directly to negotiations with the Council, the law will be re-opened for amendments and scheduled for a vote in the September plenary session,” she added. It is worth noting that, while Article 13 is widely referred to as the “upload filter” plan, the word filter doesn’t appear anywhere in the full text of the proposal. In short, the relevant text states that online services are liable for any uploaded content unless they take “effective and proportionate” action to prevent copyright infringements, identified by copyright holders. That also includes preventing these files from being reuploaded. The latter implies some form of hash filtering and continuous monitoring of all user uploads. Several companies, including Google Drive, Dropbox, and YouTube already have these types of filters, but many others don’t. Now that the plenary has voted against the mandate, the proposal and possible alternatives will be discussed in the European Parliament this coming September. In addition to Article 13, there was also considerable pushback against Article 11, which is regularly referred to as the “link tax.” This article will be debated in Parliament. Today’s vote follows aggressive lobbying efforts from both sides. While the door to changes has been opened, copyright reform plans to bridge the ‘value gap’ are still on the table, so we can expect more campaigning during the weeks to come.